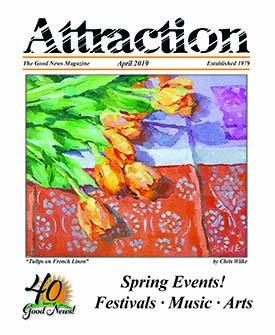 This column in Attraction by Amelia Blades Steward will visit the faces of those who have benefited from the generous and tireless work of the nonprofits on the Mid-Shore. Amelia has been a freelance writer in our community for over 15 years and offers a glimpse into the lives of residents on the Mid-Shore whom she has met along the way. 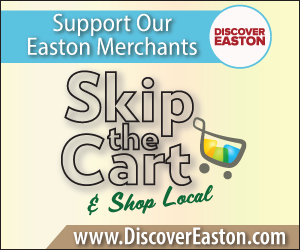 In 1994, the Talbot County Chamber of Commerce, Talbot Partnership and Easton Business Management Authority (EBMA) collaborated to create First Night® Talbot, an alcohol and drug free New Year’s Eve event to appeal to all ages, with an emphasis on family and the arts. The event, which would be affordable and accessible to all, would be produced by Talbot County residents and would celebrate the uniqueness of Talbot County’s rich heritage and cultural diversity. Initial guidelines for the event indicate that John T. Long, III, Executive Vice President of the Talbot County Chamber of Commerce, was the event’s first chairman and a co-founder. Another early leader was Mark Walsh, Vice President of EMBA and at one time an owner of Legal Spirits (now Bannings). According to Carolyn Jaffe, who joined First Night® Talbot’s board in 2000, early venues included The Avalon Theatre, the Academy of the Arts (now the Academy Art Museum), the Waterfowl Festival Building, The Historical Society, Town Offices and Christ Church, as well as storefronts, parking lots and alley ways. By closing down certain streets, the event created an overall festival spirit. Shortly before midnight, attendees and volunteers met at a central location for a countdown and fireworks to celebrate the New Year. After several years, the Committee decided to use the large financial commitment of money for the fireworks to pay performers to come to the event. Crowds enjoy the First Night® Talbot Crab Drop. In its beginnings, First Night® Talbot was a part of the national movement to offer an alternative to traditional New Year’s Eve revelry. First Night® International was launched for the first time in Boston in 1976. It eventually grew to 156 cities across the US and Canada. Today, First Night® International no longer is in existence. First Night® Talbot remains the only alcohol-free First Night® event in Maryland. According to Carolyn, the event started with grants the first two years and continued with support from the founding boards. First Night® Talbot sponsors a food booth at each year’s Waterfowl Festival with Hot Off the Coals, which has become the event’s main annual fundraiser. In 2015, the First Night® Talbot Fund became a component fund of the Mid-Shore Community Foundation and has been receiving support from the Town of Easton, the Talbot County Arts Council, local nonprofits and private foundations. 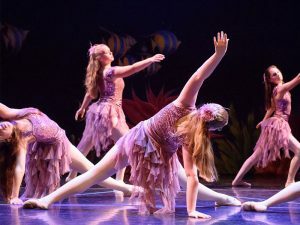 Individuals from Mid Shore Dance are regular performers at First Night® Talbot. Among the repeat performers are Crashbox Theater, Chesapeake Children’s Theatre, For All Seasons Heart & Music Tribute, Melanie Young’s piano students, Mike Elzey’s Guitar Studio, Cascading Carlos the Juggler, Mid Shore Dance, gospel groups, folk music, bagpipes, face painting and kids’ crafts. Plein Air artists will participate this year, documenting the festivities. 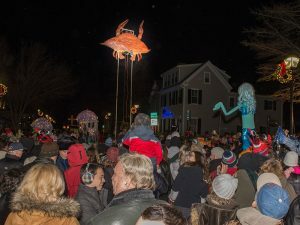 At 9 p.m. there will be the Parade of Sea Creatures and the Crab Drop, called “Midnight in the Mid Atlantic.” At midnight, there will be the traditional Crab Drop and ringing in of the New Year. The award-winning buttons have been designed by Christine U’Ren of Christine U’Ren Designs in Berkeley, California, since 2001, when the button had a red, white and blue scheme in keeping with the 9/11 tragedy. Christine U’Ren is the daughter of Marie U’Ren who has been a longstanding volunteer organizer with Carolyn of the event. Marie’s first crab button appeared in 2006 after the first Crab Drop happened. Tickets to this year’s First Night® Talbot are available at the Talbot County Center at 11 South Harrison Street in Easton. The cost is $8 for adults and $4 for students (in advance) and $10 for adults and $5 for students (at the door). Volunteers and performers get buttons for free. For further information, visit firstnighttalbot.org. 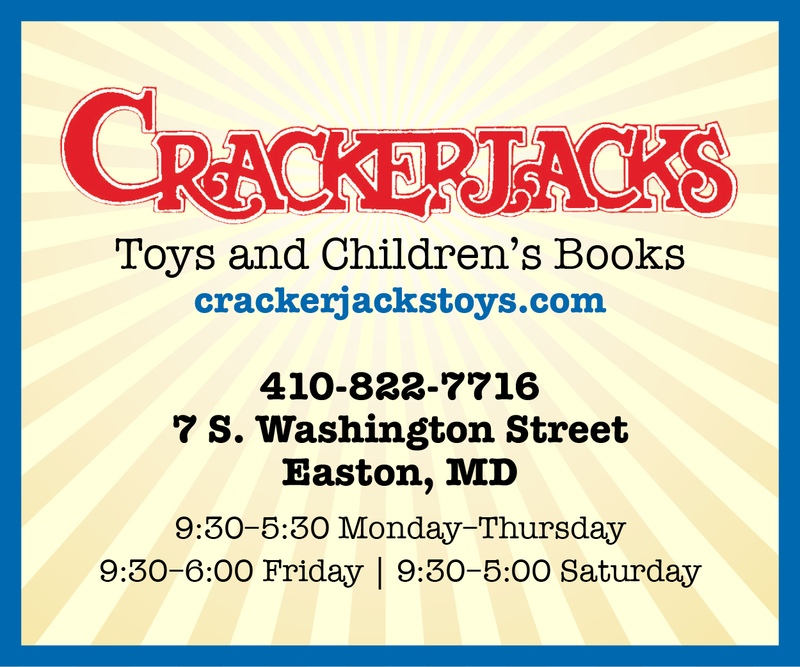 Anyone interested in helping Carolyn plan for next year’s 25th Anniversary event should contact her at 410-822-5732 or by email to clj@goeaston.net. Gifts and grants for First Night Talbot should be made payable to MSCF/First Night® Talbot. Gifts to the Fund are fully tax-deductible as allowable by law.